Lion Napoleon was born 24 August 1940 in East Spencer, North Carolina and grew up in Union, New Jersey. While still in high school, he joined the USNR and immediately after graduating enlisted in the U.S. Navy (Active). While on active duty he earned an Associate of Arts from Chapman College in Orange, California (1975) and a Bachelor of Science, Health Care Services, Southern Illinois University at Carbondale (1978). He served 26 years on active duty and retired in 1983 as a Command Master Chief Petty Officer Hospital Corpsman. After retiring from the Navy, Lion Napoleon worked as a Medical Service Officer for the Military Sealift Command for 20 years and retired in February 2005. Lion Napoleon joined the San Diego Majestic Lions Club in 2005. At the club level, he has served as 1st Vice President, Club President, Club Treasurer for 4 years, Membership Chair, Membership Junior Member, Membership Freshman Member, Board of Director, MERLO Team, Visitation Committee, and Mobile Medical Unit Committee. At DistrictLevel, he has served as Zone Chair, Region Chair, Certified Guiding Lion, Long Range Planning and Research Committee District Governor’s Representative, 2nd VDG and 1st VDG. At the Multiple District Four level, he is on the Lions Youth Outreach Committee, Member of the of Directors Lions Float, Inc., and as Committee Chair, Disaster Alert Team, D4-L6. Lion Napoleon has attended US/Canada Lions Leadership Forum, Emerging Lions Leadership Institute, Oak Brook, Illinois, Senior Lions Leadership Institute, Albuquerque, New Mexico, GLT-GMT, and Club Excellence Process Facilitator Training. He has completed Mentoring Program Level 3 - Proud Lion. 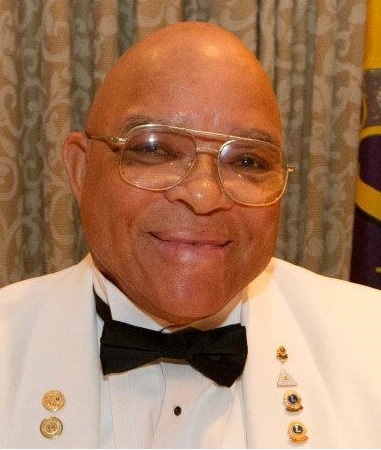 Lion Napoleon is a Progressive (2) Melvin Jones Fellow, Dwight Stanford Fellow, and received Club President Excellence Award, District Governor’s Appreciation Award (2), and Lion of the Year - Club level.